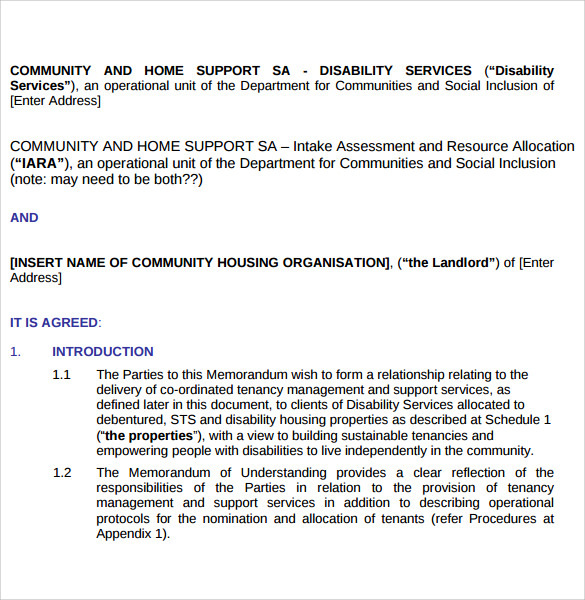 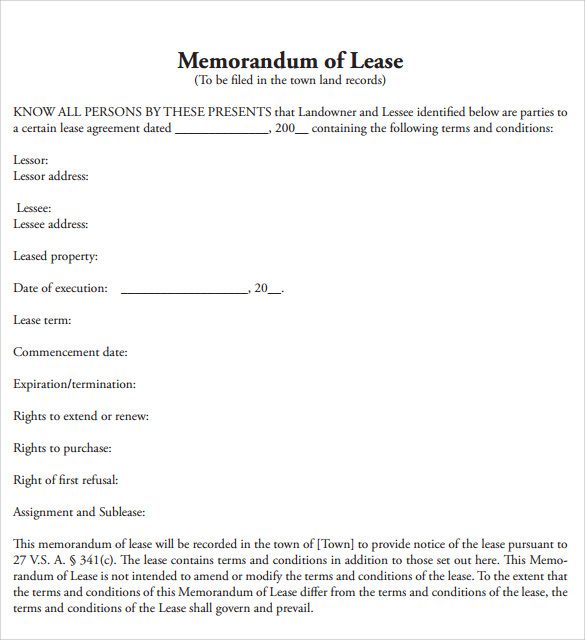 Memorandum Lease Agreement is generally containing short document based contracts as per the complexity of the property. 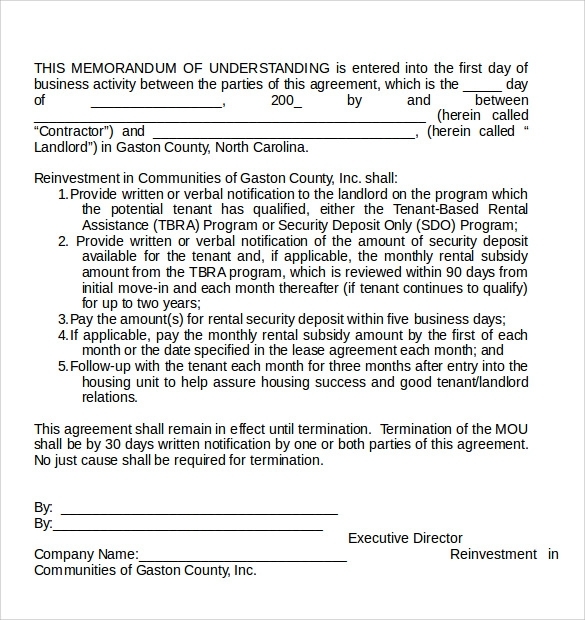 The terms & conditions are framed in very short sentences yet are well understandable to both the lessee and the tenant. 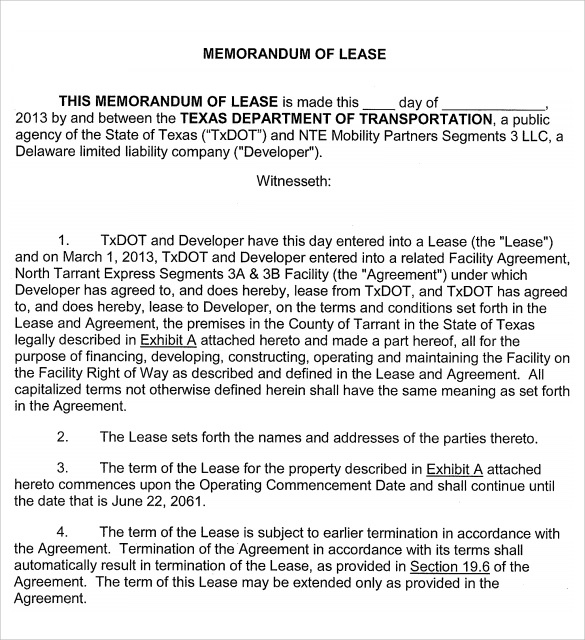 All the memorandum of lease settlements is legal and authentic. 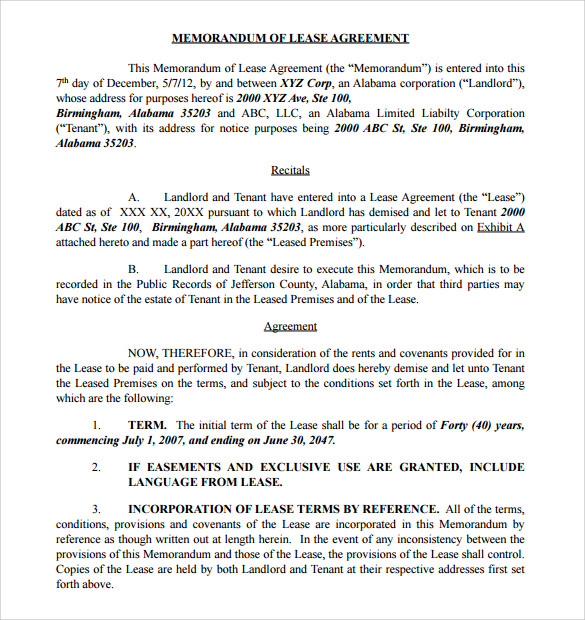 Get a Memorandum of Lease Agreement template as all our writers are working on the templates authentically. 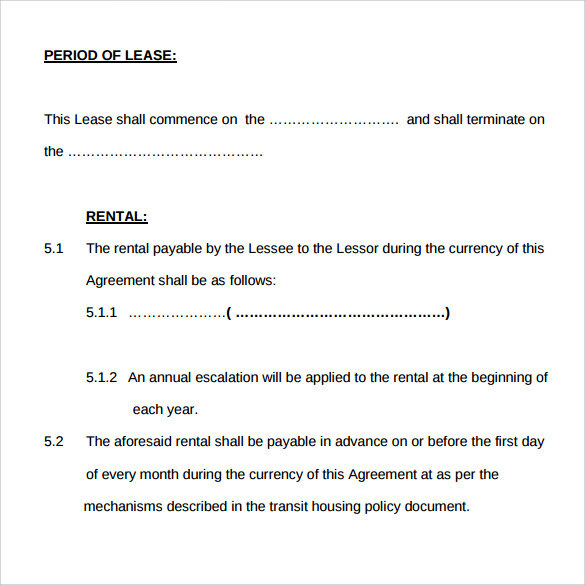 The templates are designed according to the general terms and conditions.All the Memorandum of Lease Agreement templates are available in different formats in various websites. 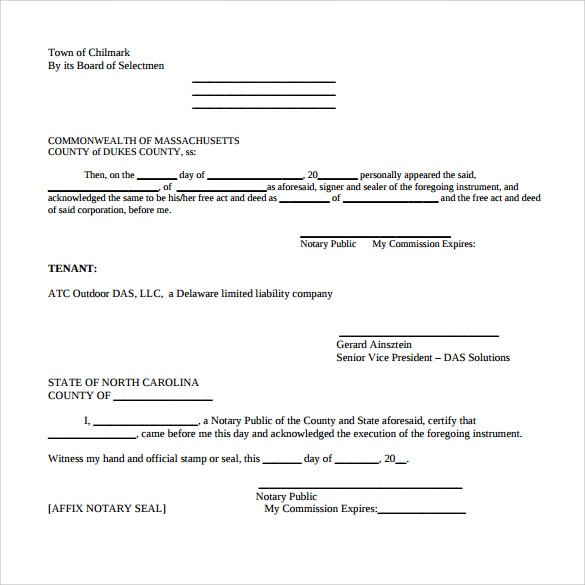 Choose a template in PSD, PDF, MS words and other forms as per your convenience.